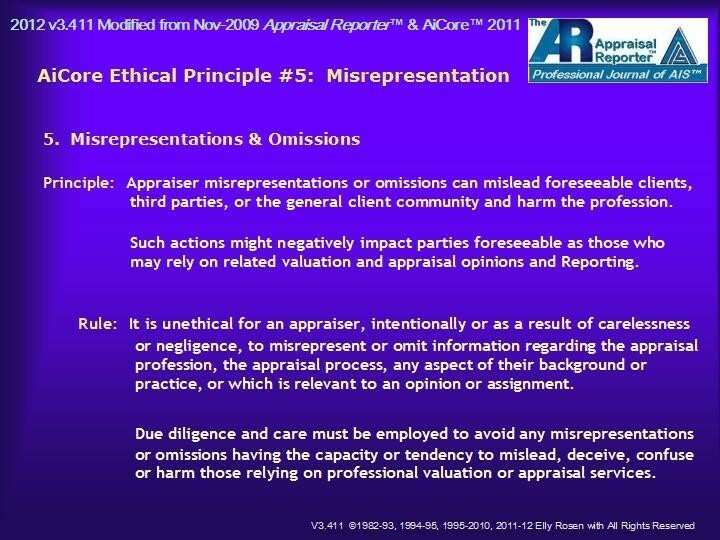 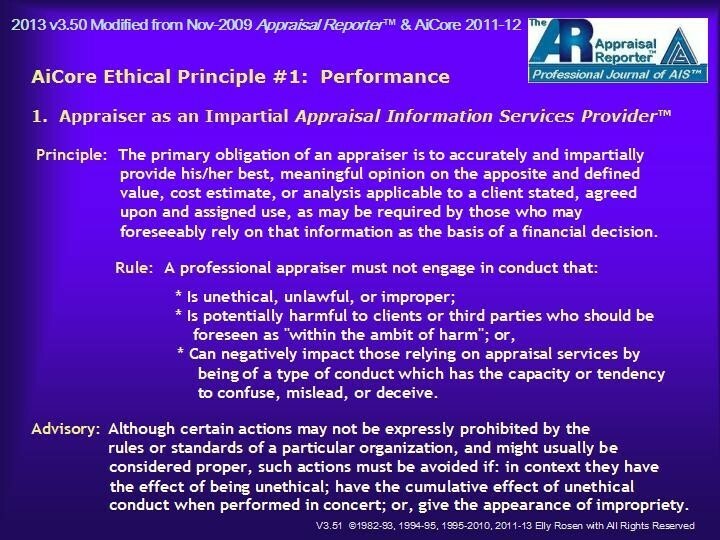 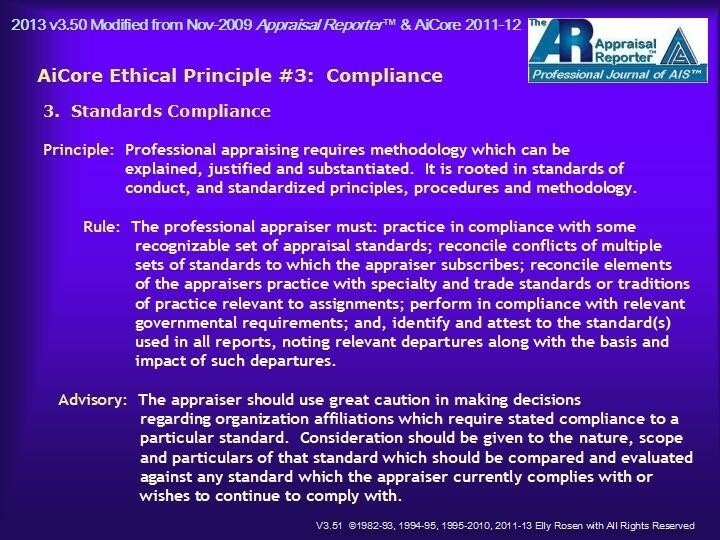 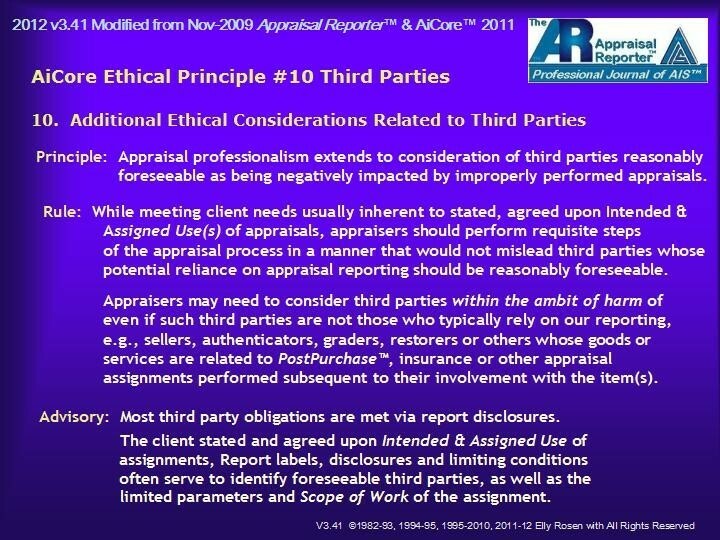 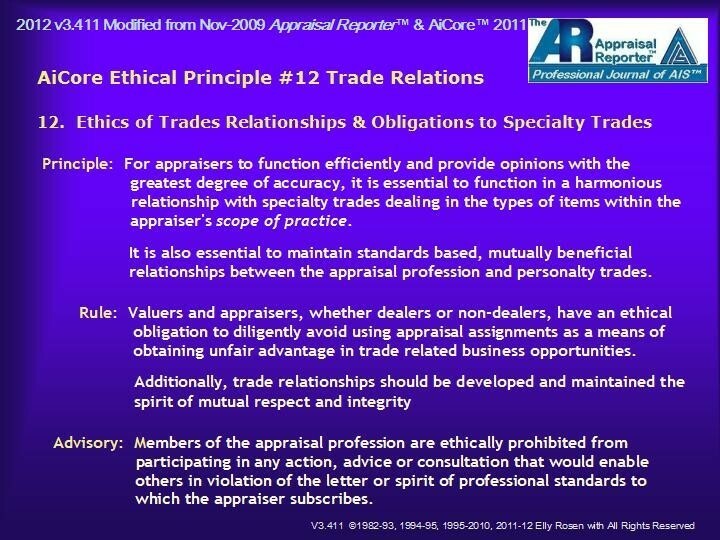 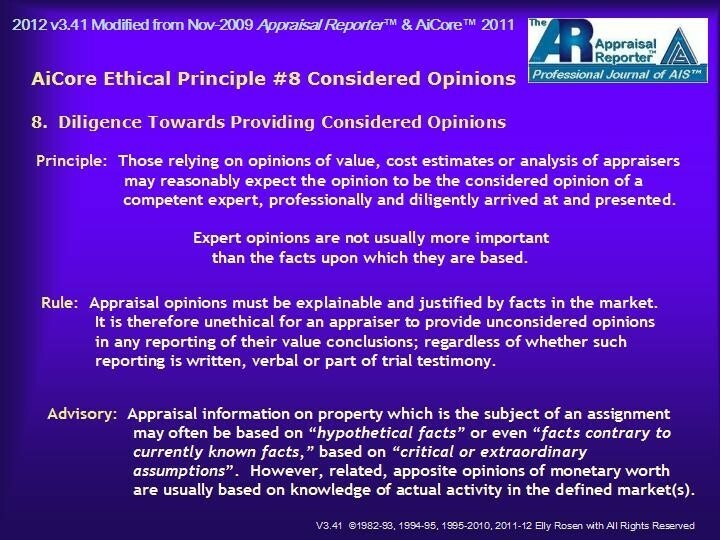 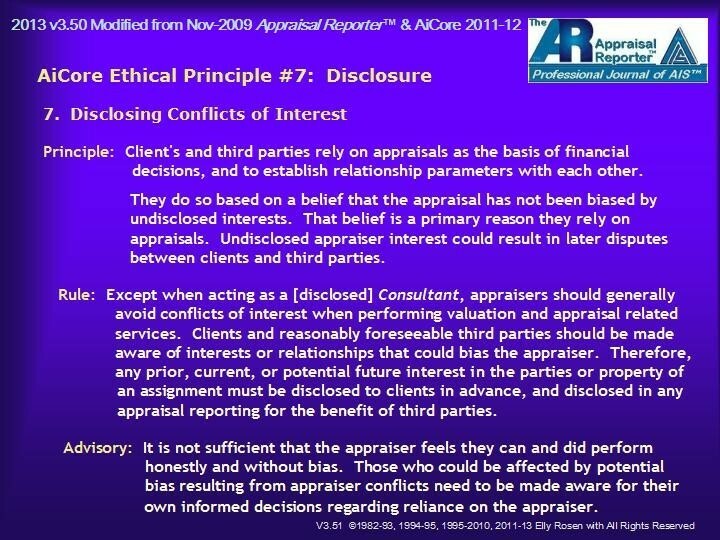 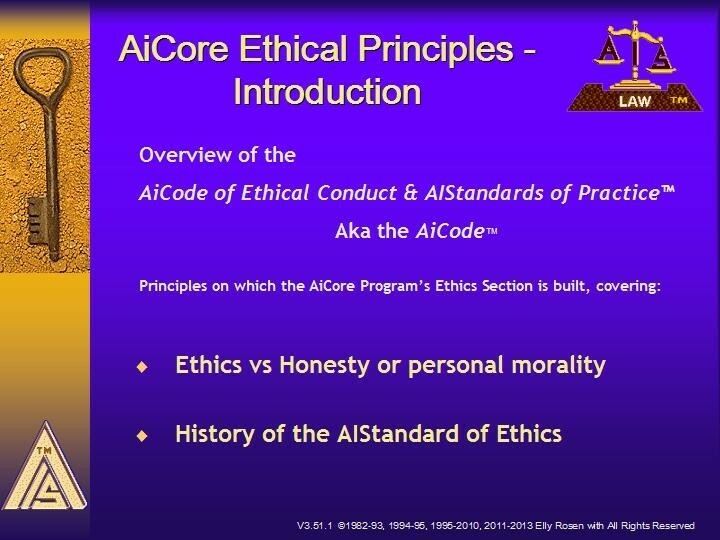 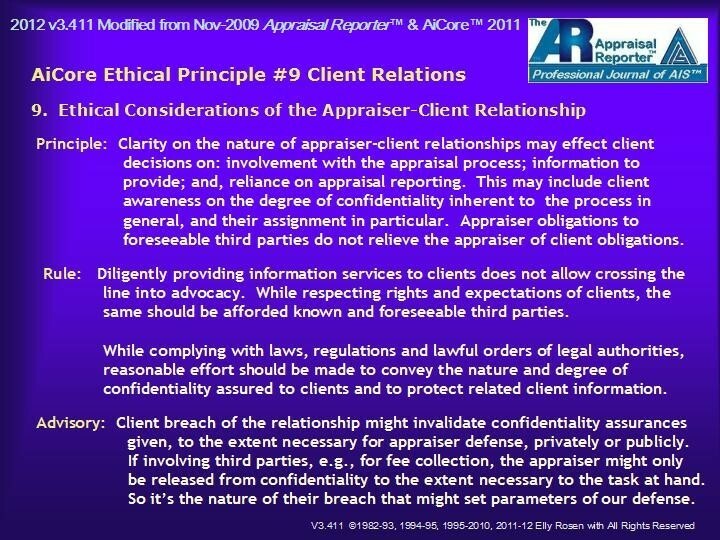 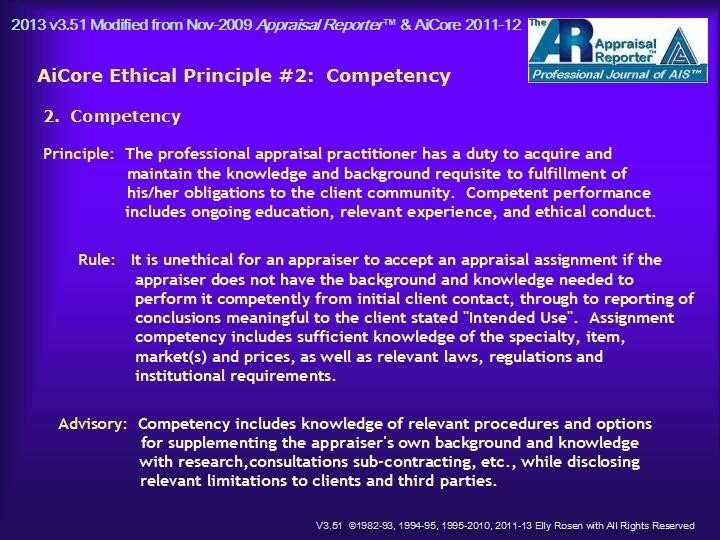 That 2019 AIStandard v6.70 Ethics Part of the AiCore ™ Fundamentals Program is taught based on the 210-page legally numbered annotated outline of AiCore-I, Part 3. 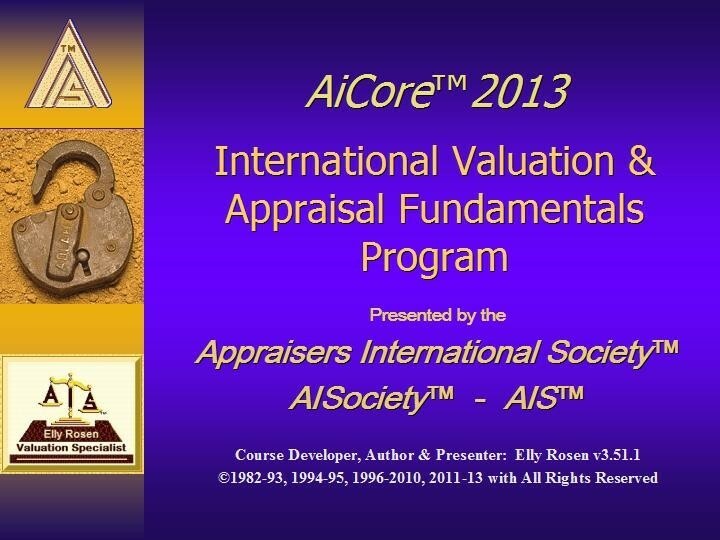 Those global, online, live, sessions includ three 3-hour AiCore-I™ Program Presentation & Q&A sessions included in approximately 9-hours of audio-visual AiRecordings available to authorized AiCore Alumni in good standing in AiCloud AiCore-I™ Program folders. 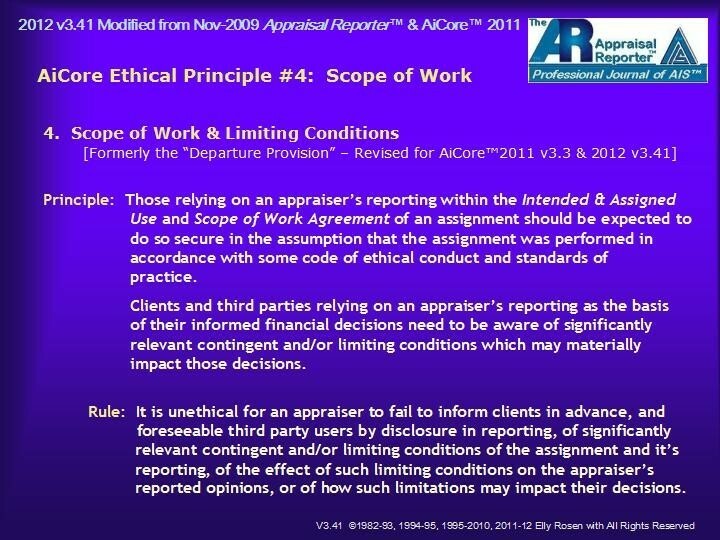 Principles which are the basis of presentations to AiCore™Program participants. 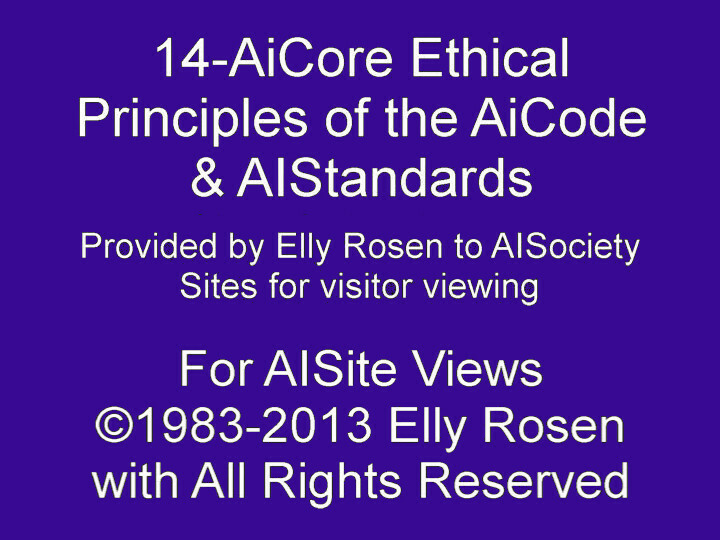 As part of the AiCore™Program, The AiCode™ is constantly under development and undergoing updates and revisions to keep it in sync with the AIStandard. 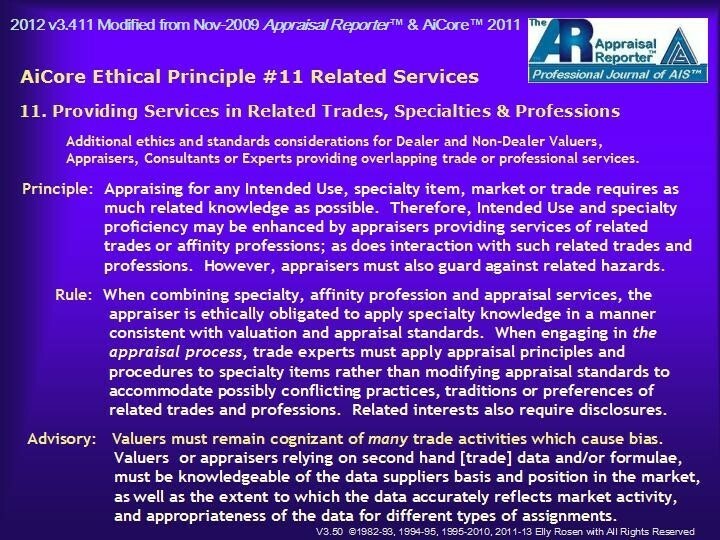 The AIStandard is upgraded with each offering of each session, as is the AiCode & AIStandards. 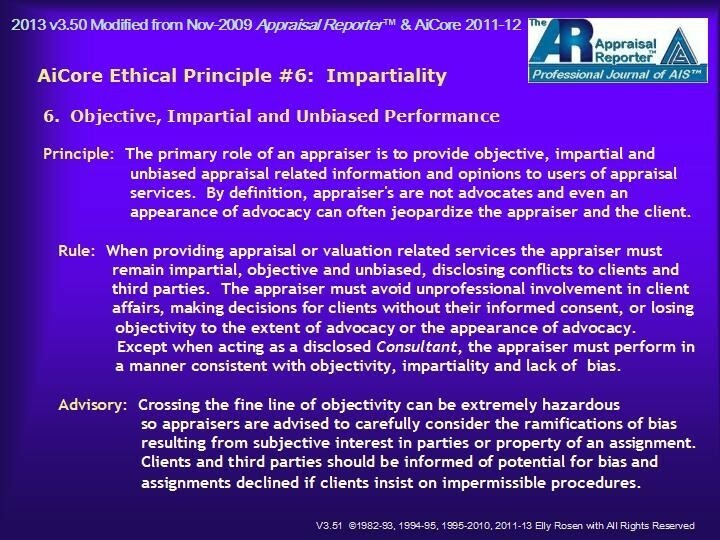 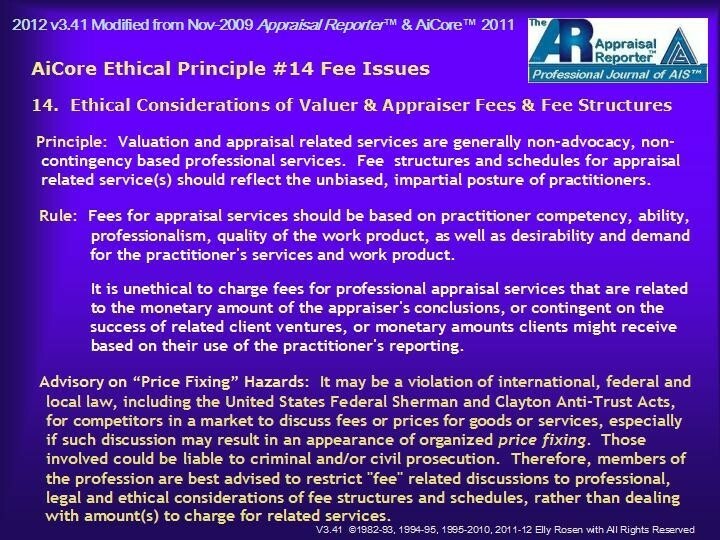 All full members of the AISociety, our only practicing valuer levels, are required to undergo testing to the AiCode of Ethical Conduct & AIStandards of Practice™. 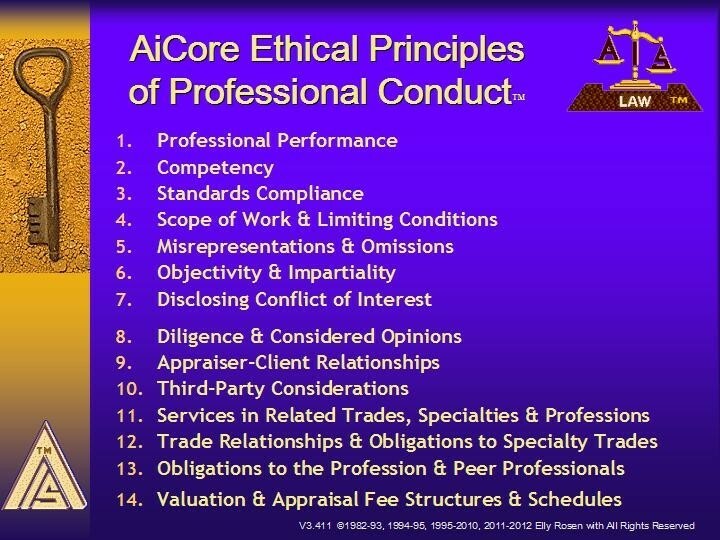 In the meantime, it is a major area of study in the AiCore™Program, during which participants undergo a separate examination on the AiCode & AIStandards at the end of program. 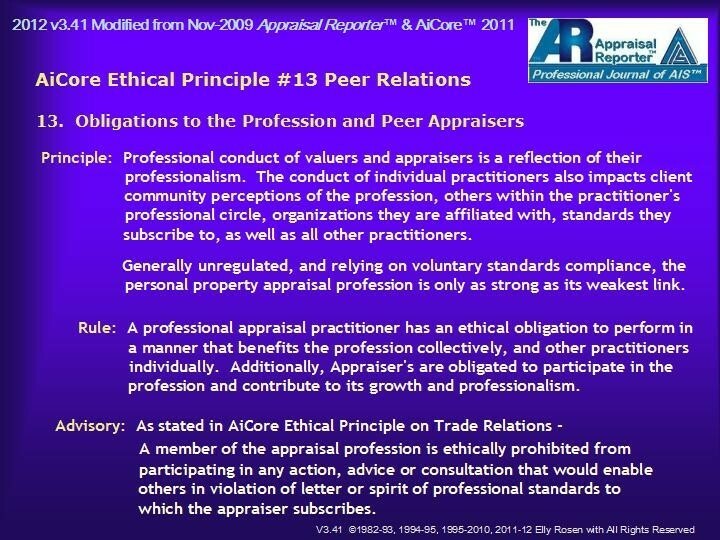 Before being granted AiSV, titles, each must successfully pass that examination and formally agree to be bound by the AiCode & AIStandards and to perform in accordance with it.